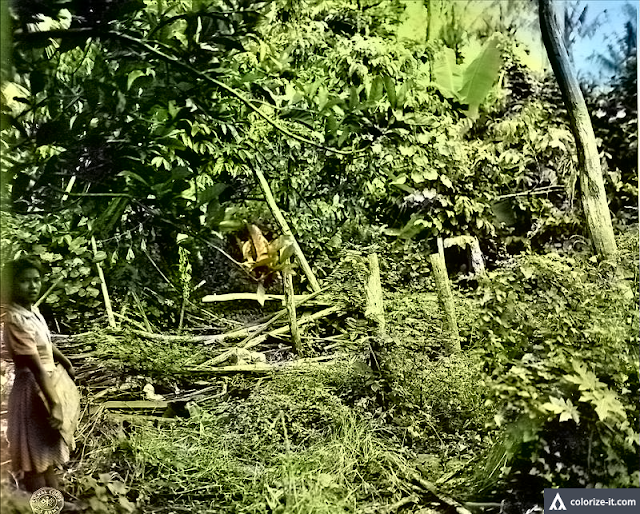 The destroyed headquarters of a Filipino collaborators' group 1945. Image source: United States National Archives. These collaborators were a group called the Makapili or the “Makabayang Katipuna ng mga Pilipino” which was formed to provide military assistance to the Japanese. There was, indeed, a barracks in Barrio Sulok from where the Makapilis operated.